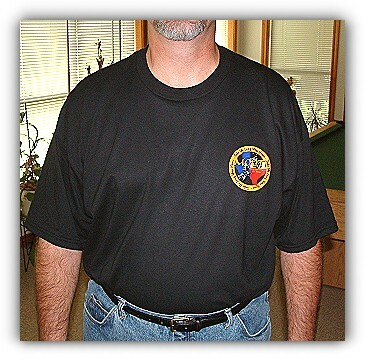 We now have MOOT T-shirts, Patches, Caps and Denim Shirts available for MOOT members to buy. 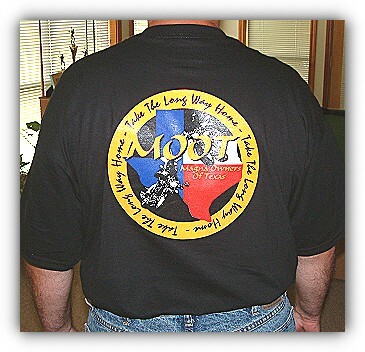 Click here for a list of items available, pricing, ordering instructions and order form. A centerstand for the '94 & later Magna is now finalized, and Cycle-istic is taking orders for shipment as units come off the line. They already have a half-dozen orders, and the first run was only for 10 units. They suspect we will be running about a week or so between order date and ship date for a while. They will be starting new runs immediately upon each run's finish. The stand is very labor-intensive, and unfortunately it really doesn't lend itself well to mass production, but they'll do our best to keep up. Here is a link to view the centerstand. Greg Cothern has been a busy man lately. 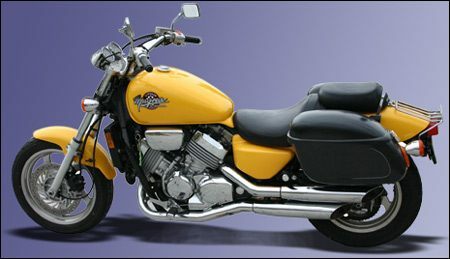 Greg has now secured a great deal with Dobie at www.cycle-istic.com. 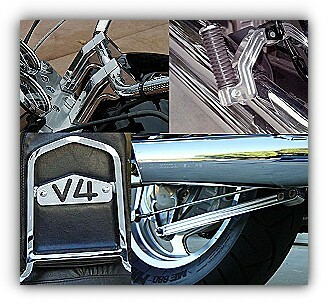 Dobie sells specialty items for the newer Magna, namely risers, Peg & Peg Extenders, Backrest Trim and Brake Stay Rods. Dobie is willing to offer several different packages for those who don't need all of the items but would like to have any 2 or more. That way, the 2 most expensive items, normally a total of $199.90, would be $179.91, the 3 most expensive, normally $239.85, would be $203.87. The thing is; some people don't need risers, or don't carry passengers, or don't have a backrest, or don't care for oversize tires. This way, you can pick your own package deal based on what YOU want or need. 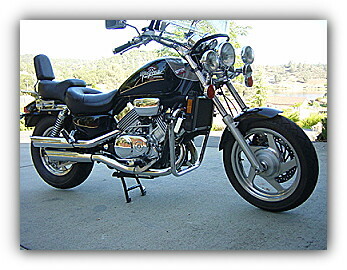 Just get on Dobie's website at www.cycle-istic.com, choose what you want and call him at 1-866 34CYCLE (1-866-342-9253) and place your order. 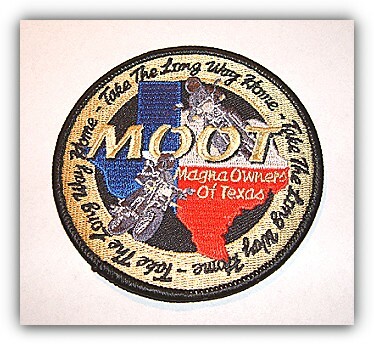 When ordering, mention you are with MOOT and give him your MOOT Membership number. Dobie will verify the information with Greg. built with rear flashers. Waterproof liners are included. A MOOT Business Card has been made for those that want to print your own MOOT cards. Just right click on the MOOTCARD link below and click on "Save Target As" to save the file on your PC. This file is a Microsoft Word document using the Avery Laser Business Card Stock #5371. Ten cards can be printed off one sheet. To print, just bring the document up in MS Word, load the Avery #5371 card stock into your laser printer and print. 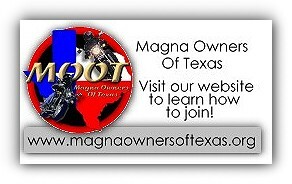 Main · SiteMap · Email © 2002-2011 Magna Owners Of Texas. All Rights Reserved.